The Russian Prosecutor General's Office has appealed the not guilty verdicts in the murder trial of Russian journalist Anna Politkovskaya. According to Murad Musayev, lawyer of the two suspected Makhmudov brothers who were found not guilty, Musayev told Ria Novosti news agency that he has not yet studied the cassation appeal, but will do so as soon as possible. The appeal means that the not guilty verdict has not come into force yet. The verdict was reached on February 20. 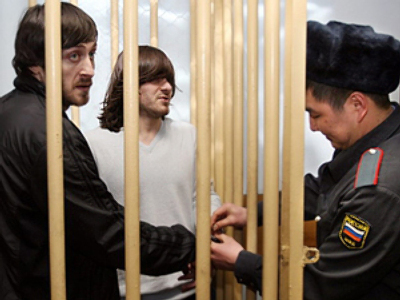 The jurors say the guilt of the defendants – Sergey Khadzhikurbanov, accused of arranging the murder; brothers Dzhabrail and Ibragim Makhmudov, accused of involvement in the murder; and FSB employee Pavel Ryaguzov, accused of other offences – had not been proven. The four former suspects say they will demand compensation. They were freed immediately after the verdicts were delivered. 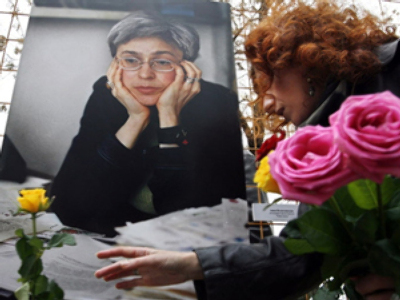 The prominent journalist Anna Politkovskaya was killed near her home in 2006. Many in Russian media circles describe the work of Anna Politkovskaya as a benchmark of investigative journalism. Famed for her reports from war-torn Chechnya, Politkovskaya was one of the Kremlin's fiercest critics. She often lashed out at the authorities over alleged human rights abuses in the region.